When Capcom first revealed Devil May Cry 5, they introduced Nero's theme, Devil Trigger from vocalist Ali Edwards. 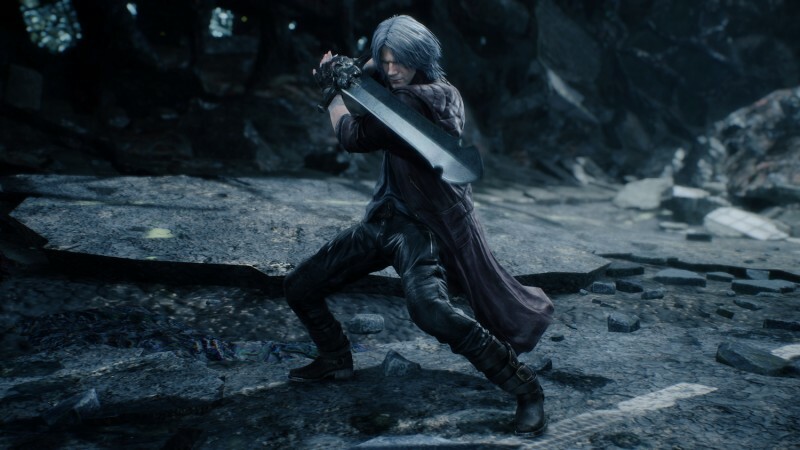 The song was catchy, which made it all the stranger when Dante's theme was revealed to be an deathcore metal song titled Subhuman. The music video reached a high number of dislikes as fans voted against the song, and was removed from YouTube shortly after, but not for the reasons everyone thought. After fans discovered that the vocalist of the band, Suicide Silence, had admitted to sexual and emotional abuse of a fan who was a minor when their relationship began, Capcom pulled the music and publicly pontificated on the possibility of replacing the song but warned they might not have the resources to do so. Today, Capcom announced that they're keeping Subhuman in the game, but replacing the vocalist. The rest of the band, which was not involved in the controversy, is keeping their instrumentation in place. "While the song was written and recorded in-game well before such allegations, we’d still like to ensure, to the best of our abilities, that your experience with the game ultimately goes unmarred," Capcom's Yuri Araujo wrote in a blog post. "As such, our development team, producers, recording and mixing teams have worked hard to find and implement a new vocal track by Michael Barr. It is worth noting that the hard work of the Suicide Silence band members, as well as song writers Cody Matthew Johnson & Mark Heylmun, remained intact, as they were not involved with the incidents." One of the reasons this might have been such a difficult replacement is the way DMC5 uses its battle music, layering it depending on how the style rankings in battles fluctuate. Replacing just the vocal track was likely a more feasible option for how the music was implemented into the game than making an entirely new track. Capcom's claim that the song was written and recorded before the allegations might be true, but the allegations were certainly known well before Capcom went public with the song. They were initially reported in November 2017 and were easily searchable by Googling the band's name, so that excuse does not pass muster. That said, they appear to be doing the right thing by replacing the vocalist. While I understand the resources to make a new track aren't there, I really don't like Subhuman at all, and wish they could have just replaced it.